If you build it, someone must run it. Talk to an architect and they’ll tell you that restaurants are successful because of the schematic genius that went into its creation. Talk to a designer and they’ll claim it’s all about the aesthetic, touchpoints, textures and lighting. Talk to a Chef Owner and he’ll tell you it’s all about the food. They’re not wrong, but no restaurant runs itself without great people. We work side by side with our talent search partners to filter candidates that are the right fit for your restaurant business. We start by getting to know you and what you are trying to accomplish. We then build teams whose members’ strengths and weaknesses compliment each other – and your style – versus a “one employee profile fits all” approach. Hiring a restaurant recruiter alone is not enough. Instead we manage the recruiting process and get you the right folks for the job. 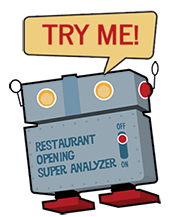 The importance of staff training for your restaurant cannot be overstated. We are fluent with every job function in every conceivable food and beverage operation. 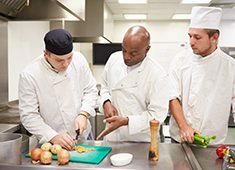 We have managed training programs for national food and beverage brands and have taught plenty of restaurant teams how to do their jobs well. Investing in great training is an investment in low turnover, high customer satisfaction and higher profits. Want to be your neighborhood’s employer of choice? Teach people how to do their jobs well…then let them do it.